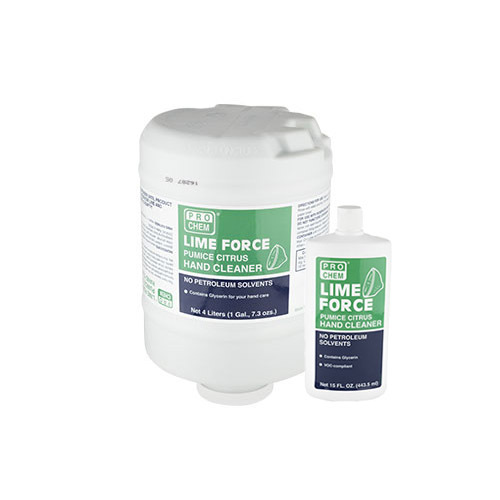 Lime Force | Pro Chem, Inc.
LIME FORCE is a citrus-based, all-natural hand cleaner that does not contain any skin drying petroleum solvents. 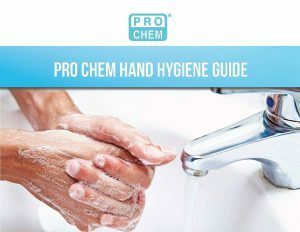 It dissolves the toughest soils, including grease, pipe dope, cutting oil, undercoating, inks, and more. In addition to containing skin conditioning aloe vera, almond oil, and soy oil, it is also fortified with glycerin, jojoba, wheat germ, and vitamins A, C and E. In addition to the 4000 mL System 2000 container size, it is also available in a convenient 15 ounce bottle.